At AIR, we focus on strengthening social-emotional and instructional competencies through the use of evidence-based practices. Our team of experts at AIR is what makes the delivery of high quality support possible. As a group, we bring over 50 years of experience in the field of education, public health, and classroom behavior management to bear in support of effective implementation of the Good Behavior Game. We develop and execute teacher-driven training; provide contextually appropriate ongoing support for implementation; and conduct research to deepen the existing evidence base in support of the Good Behavior Game. Dr. Jeanne Poduska, managing scientist at AIR, has worked at the intersection of public mental health, prevention, and education for the past 25 years. Over the past decade, her work has bridged effectiveness research and implementation research with the goal of moving evidence-based programs into practice with high quality fidelity over time. She has extensive expertise partnering with community institutions to conduct research including formative research, pilot studies, and longitudinal randomized field trials. 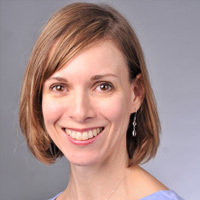 She has served as the principal investigator or Project Director on numerous projects funded by federal agencies including NIMH, NIDA, NICHD and IES ranging in focus from efficacy through effectiveness and into implementation research. 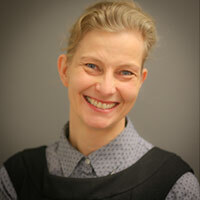 Dr. Anja Kurki, principal researcher at AIR, has over 15 years of research management experience, leading tasks including developing and conducting trainings, participant recruitment, large-scale data collections, data analyses and reporting on several randomized controlled trials funded by the Institute of Education Sciences (IES) at the U.S. Department of Education. She currently works as the project director for the IES- and NIDA-funded Good Behavior Game Professional Development Models study and is one of the team’s Good Behavior Game trainers. She is also AIR’s project director for the IES-funded randomized control trial about the impact of school-wide positive behavior supports (SWPBS). Dr. Gail Chan, senior researcher at AIR, has over 20 years of experience working with children and young people across school, recreational and academic settings. 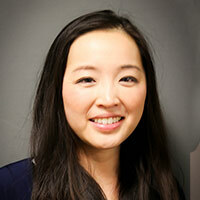 Dr. Gail Chan, Senior Researcher at AIR, has over 20 years of experience working with youth across school, recreational, and academic settings. In her current work, she serves as the project director of the Good Behavior Game. She also conducts trainings across the United States and abroad, working with districts and states to develop capacity for locales to implement and sustain the program. Prior to joining AIR, Dr. Chan was the project manager for a study of the Good Behavior Game in England. She has also worked as an assistant director of education for children with autism and is a Board Certified Behavior Analyst at the doctorate level (BCBA-D). 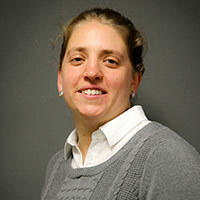 Megan Sambolt, Senior Researcher at AIR, has ten years of experience in the field of education, focusing primarily on secondary schools, college and career readiness, and classroom behavior management. 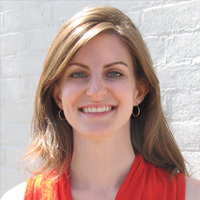 Megan Sambolt, Senior Researcher at AIR, has ten years of experience in the field of education, focusing primarily on secondary schools, college and career readiness, and classroom behavior management. She is the project director for a Good Behavior Game study of long distance learning, funded by the National Institute on Drug Abuse (NIDA). In this role, she oversees the conversion of the Good Behavior Game face-to-face training into a series of online courses. Mrs. Sambolt also serves as a Good Behavior Game trainer, leading both teacher and coach trainings across the United States and throughout Europe. Jeanette Moses, Project Associate at AIR, currently works on data collection for the National Institute on Drug Abuse (NIDA) funded Good Behavior Game study of long distance learning. Jeanette Moses, Project Associate at AIR, currently works on data collection for the National Institute on Drug Abuse (NIDA) funded Good Behavior Game study of long distance learning. For over five years, she has worked extensively in the administration, collection, tracking, and management of student and teacher data collection. 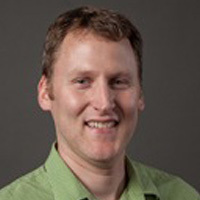 Chad Duhon, Senior Researcher at AIR, provides oversight and coordination for the Good Behavior Game projects at AIR. This includes developing and monitoring project plans, overseeing operations, and providing quality assurance. 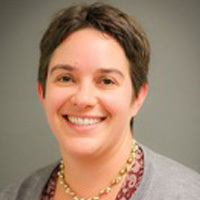 Jenny Scala, Senior Researcher, is the Project Director for AIR’s work with Cincinnati Public Schools’ Allegiance Project. This project, funded by the National Institutes of Justice, embeds Good Behavior Game in a Walking School Bus setting. 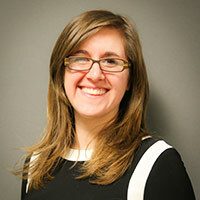 Jenny Scala, Senior Researcher, is the Project Director for AIR’s work with Cincinnati Public Schools’ Allegiance Project. This project, funded by the National Institutes of Justice, embeds Good Behavior Game in a Walking School Bus setting. As the Project Director, Jenny is responsible for project management as well as providing training to the Allegiance Project conductors. 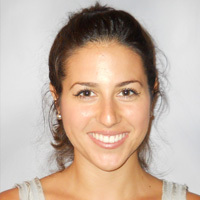 Naomi Jacobs, Research Associate at AIR, manages social media strategies and accounts for the Good Behavior Game. She also serves as a Good Behavior Game trainer for the Cincinnati Public School’s Allegiance Project. Tracy Long, Research Associate at AIR, serves as a Good Behavior Game trainer. Ms. Long has 15 years of experience in the field of education, with extensive experience in special education and reading instruction at the elementary school level, working with classroom teachers to adapt their curriculum to best meet the needs of all students. Tracy Long, Research Associate at AIR, serves as a Good Behavior Game trainer. Ms. Long has 15 years of experience in the field of education, with extensive experience in special education and reading instruction at the elementary school level, working with classroom teachers to adapt their curriculum to best meet the needs of all students. 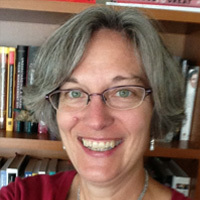 Her current work focuses on adapting the Good Behavior Game to settings outside the classroom. Kathryn Balestreri, Research Associate at AIR, currently serves as an international Good Behavior Game trainer in Valbonne, France and is contributing to the development of the Good Behavior Game virtual experience. Kathryn Balestreri, Research Associate at AIR, currently serves as an international Good Behavior Game trainer in Valbonne, France and is contributing to the development of the Good Behavior Game virtual experience. Ms. Balestreri has worked at AIR for two years, focusing on online learning and professional development across education projects. The Good Behavior Game at the American Institutes for Research would not be a success without our partners helping to research and implement the program in the field. We work with state and local education agencies, experts from universities and other entities both nationally and internationally to help spread the positive outcomes of the Good Behavior Game across the country and beyond. 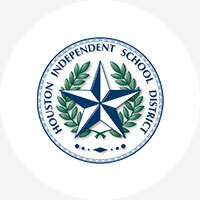 We have partnered with the Houston Independent School District since 2009 to implement the Good Behavior Game and conduct research on the impact of different models of professional development on the game’s implementation, while partnering with the school district for an implementation study. We work with the Nebraska Department of Education to build resources to integrate the Good Behavior Game into a Positive Behavioral Interventions and Supports system. 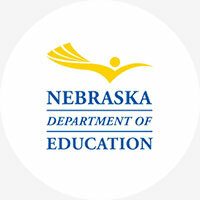 The Nebraska Department of Education is also partnering with us as we develop online distance learning training and supports for teachers to play the game in rural schools. The Good Behavior Game Team has partnered with the National Coordination of Mental Health, Alcohol, and Other Drugs (Brazilian Ministry of Health) to pre-pilot the Good Behavior Game in Brazil. The government of Brazil mobilized the funds through the United Nations Office on Drugs and Crime (UNODC), who served as the project executors in partnership with the government team. 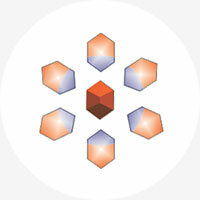 The Center for Prevention Implementation Methodology (C-PIM) for Drug Abuse & Sexual Risk Behavior seeks to learn what the goal, opportunities, and capacities are of communities, institutions and agencies around prevention programs designed to reduce drug abuse, HIV infection, and sexual risk behavior. The Center is developing new methods for improving implementation in communities as well as new methods for conducting implementation research, quality improvement, and evaluation in practice settings. 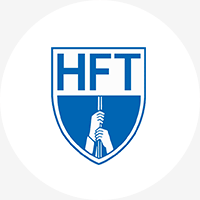 Also known as Texas AFT, it is recognized as one of the outstanding state federations for the implementation of a statewide leadership development. Texas AFT believes in democracy in education, and that our students deserve a world-class education. Texas AFT will work to initiate, support, and enforce state legislation to benefit all the children and school employees of the State of Texas, through a dynamic organization which builds upon the diversity of its members through a democratic governance structure. 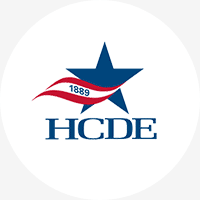 Harris County Department of Education (HCDE) was formed in 1889 as the original area district to provide free public schools. Today, HCDE supports the educational needs of 25 school districts in Harris County. Services are extended to children, adult learners, educators, local governments, charter schools and taxpayers. We partnered with HCDE to provide coaching as part of our IES funded trial and continue this partnership in expanding the GBG throughout the Houston area. Cincinnati Public Schools is partnering with American Institutes for Research to help design its Allegiance Project initiative, a structured Walking School Bus designed to improve the physical and emotional safety of elementary school students on their walks to and from school. By infusing elements of the Good Behavior Game into the Walking School Bus, the Allegiance Project hopes to contribute to key students outcomes such as reduced student tardiness, absenteeism, and disruptive classroom behavior. 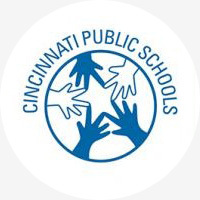 RAND will be partnering with Cincinnati Public Schools and AIR to evaluate the program outcomes. Good Behavior Game in partnering with Mentor UK to implement a randomized control trial study of the Good Behavior Game throughout primary (elementary) schools in the Northwest of England. 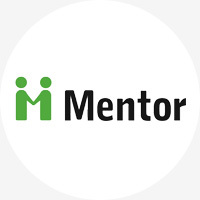 Mentor UK is an alcohol and drug prevention organization that works with schools, parents, and policy makers to support early intervention. Established in 1946, with headquarters in Washington, D.C., American Institutes for Research (AIR) is an independent, nonpartisan, not-for-profit organization that conducts behavioral and social science research and delivers technical assistance both domestically and internationally. 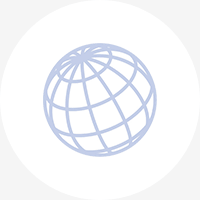 As one of the largest behavioral and social science research organizations in the world, AIR is committed to empowering communities and institutions with innovative solutions to the most critical challenges in education, health, workforce, and international development. Interested to learn more? Ready to start discussions of how Good Behavior Game could fit the needs of your classroom, school, district, or state? Contact us!